RMG is a full service political consulting firm that specializes in grassroots organization, direct mail, collateral campaign materials, telecommunications, Get Out The Vote (GOTV), website & Internet presence, television & radio advertising, media buying, fundraising and issues advocacy for pro-life, pro-liberty and pro-family conservatives. Nationally Syndicated Tea-Vangelical News and Comment. Broadcasting The Truth, The Whole Truth, & Nothing But The Truth; So Help Me God, Saturdays Across America. 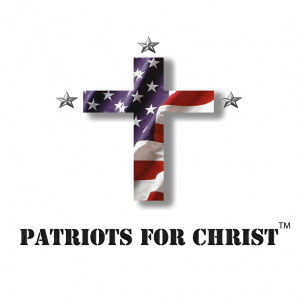 Patriots for Christ is a charitable organization dedicated to teaching Americans about their historical and present duty of civic involvement based upon scripture through the education, motivation and activation of local Church Ambassadors. Gadsden Films is a motion picture company formed by partners Judd Saul and Craig Bergman. The studio currently has a worldwide distribution deal with Rocky Mountain Pictures, who will distribute their films. The foundation of Gadsden Films is based on a defense of the Bill of Rights and all that it represents for the “enlightenment” of the world. Iowans for Fair Taxation is an independent, grassroots, volunteer, non profit, non partisan, issue advocacy organization dedicated to educating and informing the citizens of Iowa about the benefits and reasons for enactment of a simple, transparent, fair tax code to replace the current income tax system with a national retail consumption tax, commonly known as “The Fair Tax”.